“Do Your Homework” is a phrase about learning important concepts related to cosmetic surgery and plastic surgery. I believe it is one of the most essential tasks for women considering elective cosmetic procedures. The idea is that you take the time to become as educated as possible about the operation you are considering. It means to take the time to learn about options, surgical techniques, recovery and risks. You also should put in effort to become knowledgeable about your doctor, his training, and his awards. I use this expression to help my patients from Wilmington Delaware, Pennsylvania, New Jersey, and other local cities and states who have asked me questions. It’s critical to get educated about the entire process. Let’s review a few procedures that are popular to help understand what it means to do your homework. For example, if a woman wants enlargement of her breasts, called breast augmentation, it is essential to learn about the whole operation from start to finish. This means finding out what is the latest way to do the operation. What is the recovery and the risks. It includes learning about how do I choose breast implant size before breast enlargement. The choice of implant size is extremely important for this surgery. If a woman doesn’t focus on this topic than she will more likely be disappointed with her size. I help them with the task or homework to maximize success. I explain how we must look at breast photos before and after augmentation. I explain how doing the “Rice Test” will give you a better understanding of different breast sizes after cosmetic breast augmentation. All this work helps the patient understand what is involved and ultimately to be happier with their results. I also talk about how to “Do Your Homework” in reference to learning different choices or options about abdominal plastic surgery. For example, the choice of doing cosmetic liposuction or a cosmetic tummy tuck should be learned. Or should a mini tummy tuck be done? A thorough discussion of the operations and recovery will give the patient a better understanding about the plastic surgery procedures. This will enable you pick the correct or best procedure for you. If you don’t learn about your options, how can you decide which is best? After my thorough consultation, most patients are knowledgeable and ready to pick the best one for them. I also wants my patients to “Do Your Homework” when it comes to learning about different doctors who do cosmetic surgery and their different training. Not all doctors are trained equally. Did you know that a doctor can advertise about cosmetic liposuction surgery or cosmetic face lift surgery and be board certified in Family Medicine or Dermatology? Most people want a Board Certified Plastic Surgeon! Did you know that cosmetic surgery is not a recognized specialty by the American Board of Medical Specialties? Cosmetic surgery is a specialty “within” Plastic Surgery and is not a separate board. Confused? The American Society of Plastic Surgeons had a recent national advertising campaign to educate people about the facts. It helps people learn about different surgeons who do cosmetic surgery. The focus is on the advantages and safety of board certified Plastic Surgeons. Some doctors (not plastic surgeons) actually learn how to do liposuction at a weekend coarse! Yes, this is true. They take a coarse that might be called Liposuction 101. They are board certified in some other specialty and then advertise as a cosmetic surgeon. This is legal! It can be horribly misleading. A major medical study showed this type of poor training can definitely be associated with higher complications. Many patients do not understand how different medical specialties are trying to do cosmetic surgery or open a cosmetic med spa to make money. Most patients actually want a board certified plastic surgeon to be their surgeon and do not like being mislead. I encourage my patients to learn about their doctors. To “Do Your Homework”! What was your doctor’s training? Did you know that I went to school and surgical training for 16 years starting with an undergraduate degree at Duke University. That is a long time! My training in plastic surgery was extensive. Patients ask me, “Dr. 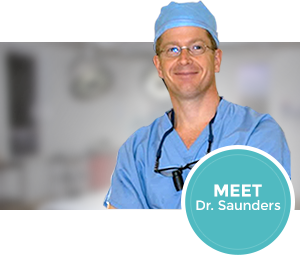 Saunders where was your plastics training?” I trained for almost a decade at the University of California, Davis Medical Center. It’s a superb medical center with top-notch plastic surgery procedures, education, and professors. It was almost a decade of residency. That’s a lot more than a weekend coarse. I am considered an expert in cosmetic surgery, which I exclusively practice. When looking for a cosmetic surgeon, a patient should specifically ask is the doctor board certified in plastic surgery. If he is, then the patient knows and can trust that he has extensive and thorough knowledge of plastic and cosmetic surgery. I am a board certified plastic surgeon who practices exclusively cosmetic surgery. Please check out the before and after photos on my web site. Also, please come in for a complimentary consultation to learn about your choices and options. I will work hard to educate you on the options, techniques, recovery, and risks of the procedures you have interest in. I do my homework, so it can help you do yours!